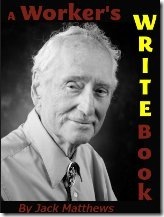 This page provides a reference to copyright and version information about published works by Jack Matthews (1925-2013). You can also see a list of publications on the author wikipedia page and the List of Writings on this site. In 2017 Personville Press started including a version history with all its ebooks. 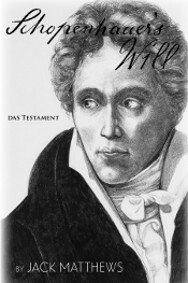 (It is listed in the Table of Contents as “About this Edition”). Personville Press is in the process of adding version histories to all ebooks, and this web page will reflect this after it is done. The primary purpose to help the reader/consumer decide whether it is necessary to update the ebook file. Sometimes the store which sold you the ebook will “push” an update onto your reading system if you have enabled that setting. In some cases, you may have to add the updated file manually. The page you are now reading summarizes the differences between versions to help the ebook purchaser decide whether it is worth the extra effort to replace the previous ebook file. From time to time, Personville Press updates the edition of an ebook. Typically the main content is editorially complete and in final form when the ebook is first published. Occasionally, the actual content may be updated as well (maybe to fix a typo, or to add additional information). Over time the publisher may update the ebook template to make the reading experience more uniform across devices and reading systems. Devices are continuously improving and standards are continuously changing. Sometimes an older formatting of an ebook may be unable to take advantage of a new feature on more recent reading systems. Here is version history about JM titles. Reading System Support: Kindle Touch, Kindle Paperwhite (2nd edition and beyond), Kindle for Android, Google Play Books for Android, Adobe Digital Editions for Windows & Android. iBooks 4.7 (on iPad and iPhones). A small number of these stories were published online and in various small literary magazines prior to the ebook. They were published under the pseudonym Matt Hughes. Agni Online 2005. Progeria, Character Actor, Crazy Uncle, The Lesson, Walking on Words. The story “Killing of Old Mortality” originally appeared in the author’s short story collection Tales of the Ohio Land (Ohio Historical Society, 1980). Initial Version was published in print form by Harcourt, Brace & World in 1967. Copyright by Jack Matthews. Version 2.0.0 (November, 2018). Includes essay “Hanger at 50 Years: A Rumination” by Robert Nagle and a study guide appendix by Robert Nagle. Both items by Robert Nagle are copyrighted and licensed under a Creative Commons Attribution-NonCommercial-NoDerivatives 4.0 International License. This version contains a higher resolution cover graphic and improved formatting. Fonts used in this edition are Alegreya and AlegreyaSans. Both are Google fonts available under an Open Font License. 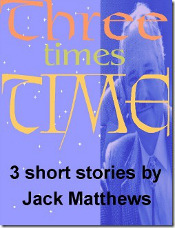 Ebook sampler of 3 stories previously published in the 1980s. Also includes an interview. Copyright by Jack Matthews. Initial Version: published as an ebook on October 2012. Improved Device Support. Support tested and confirmed for: 1st generation Kindle through Kindle Touch, iBooks 1.8 to 4.7 (on iPad and iPhones), Google Play Books for Android. Google Play Books for iPad 1 and later. Kindle app for android and ios. Adobe Digital Editions for Windows & Android. (Rendering on Adobe-based systems like Nook, Overdrive and Bluefire tends to be similar). Improved rendering for mobile phones. Content Additions and Changes. Added an additional flash fiction story from Abruptions and a literary obituary by Robert Nagle. The obituary essay is copyrighted and licensed under a Creative Commons Attribution-NonCommercial-NoDerivatives 4.0 International License. Updated preface to include most recent publications. Updated Version History page, about author page, and title page. Improved image quality of cover art for better rendering on tablets. Added custom Google fonts. Initial Version 1.01 published as an ebook on April, 2011. Copyright by Jack Matthews. Interview with Jack Matthews originally appeared on the Teleread.org website in Summer 2009. Improved Device Support. Support tested and confirmed for: 1st generation Kindle through Kindle Touch, iBooks 1.8 to 4.7 (on iPad and iPhones), Google Play Books for Android. Google Play Books for iPad 1 and later. Kindle app for android and ios. Adobe Digital Editions for Windows & Android. (Rendering on Adobe-based systems like Nook, Overdrive and Bluefire tends to be similar). Tested on Fbreader (which does not render tables). Improved rendering for mobile phones. Added Afterward to the 2019 Edition. by Robert Nagle. Creative Commons sharing license. Specifically, Attribution-NonCommercial-NoDerivs 3.0 Unported. Made minor typographical revisions on the main text. Improved image quality of cover art for better rendering on tablets. Fonts used in this edition are Alegreya and AlegreyaSans. Both are Google fonts available under an Open Font License. Improved formatting of poetry and letters so that it renders more consistently on different devices. Improved formatting of “Personality Grid” table shown in Chapter 6. Note: The current versions of FBReader does not display tables. Made minor punctuation changes in the main text and afterward. Initial Version published in print form on 1992 by Dramatic Publishing Company. 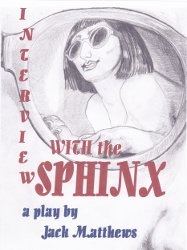 As a way to encourage public performances of the play Interview with the Sphinx, (and its variant Dr. Freud and the Sphinx which is included in the same ebook), the publisher and author have provided flexible terms and conditions for doing so. Anyone intending to stage a performance must 1) purchase at least two licensed copies of this ebook, and as a courtesy, 2)send an email to notify Personville Press of the planned performance and proposed dates. Performance of brief passages from the play for private auditions or academic competitions is allowed as long as there are no deleted lines within the chosen excerpt and the performance clearly indicates that it is an excerpt. If the venue for the performance charges money for tickets and if the money collected from ticket sales is less than $500, then performers will not need to obtain a separate performance license. If the venue for the performance charges money for tickets and if earnings from ticket sales are likely to be $500 or more, the performers and/or theatre company must obtain a separate performance license. (This license will typically specify a percentage of ticket sales). No other rights (such as TV/Video/Audio rights) are included in this authorization. Any reproduction of the play in mechanical or electronic form is not allowed without the explicit approval of the publisher. The play must be presented only as published in the Personville Press edition, without any deletions, alterations or changes of any kind made to the text, title or characters, including their gender. The performance should not change the time, locales or settings of the play. Any performers wishing to produce this play with substantial changes must first seek permission from Personville Press. (We are reasonable and promise that we will treat each request with an open mind). Initial publication of this audio was 3/1/2013. Copyright by Personville Press. All rights reserved. Performances by Neal Gage and Jill Brumer.